A striped shirt is a closet staple that will never go out of style. It’s always cute and is super versatile on the styling front. 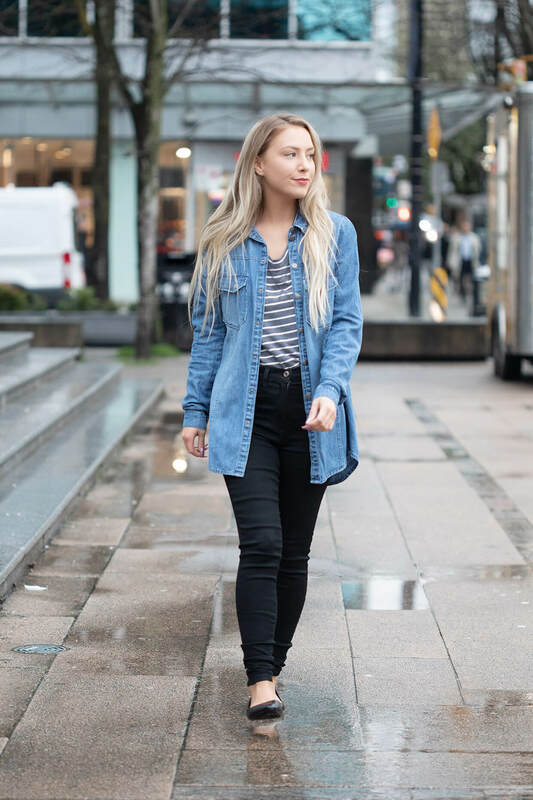 Perfect for casual wear, a striped shirt always goes well with denim. Add a touch of sophistication to your look with layers. A striped shirt looks just as good layered under a sweater or a chambray shirt when the weather is chilly. 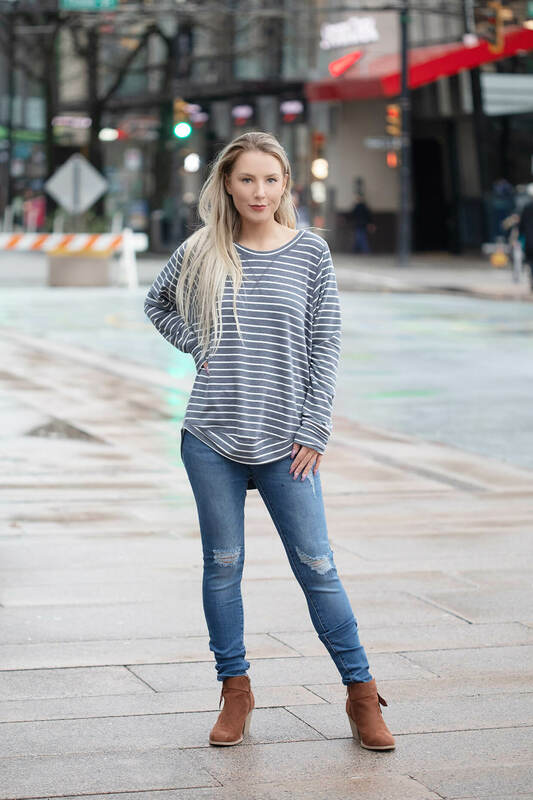 Get the Look: Lauren is wearing the Christie 3.0 Striped Long Sleeve (Blue & White Stripes, XS/S), Satisfaction Jeggings, Everyday Denim Top, Fortunate Soles (Black). Keep your look simple so the striped shirt takes the main stage. 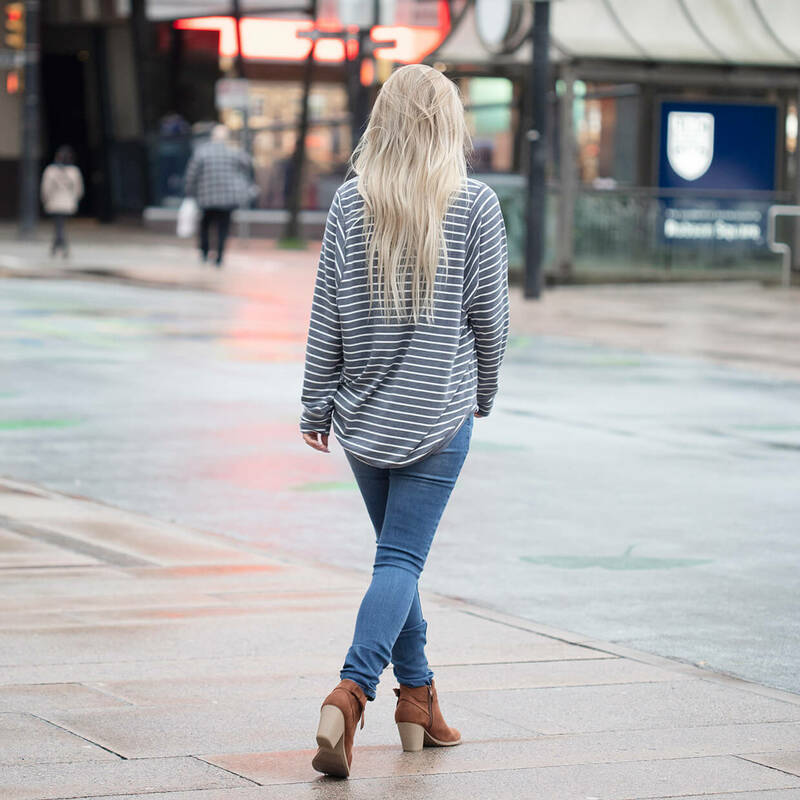 Create an effortless look by simply knotting the front of an oversized striped top. Get the Look: Lauren is wearing the Christie 3.0 Striped Long Sleeve (Pink & White Stripes, XS/S) Take Me Out Denim (5). To look polished and not sloppy, tuck in your striped top and layer with your favourite winter jacket. 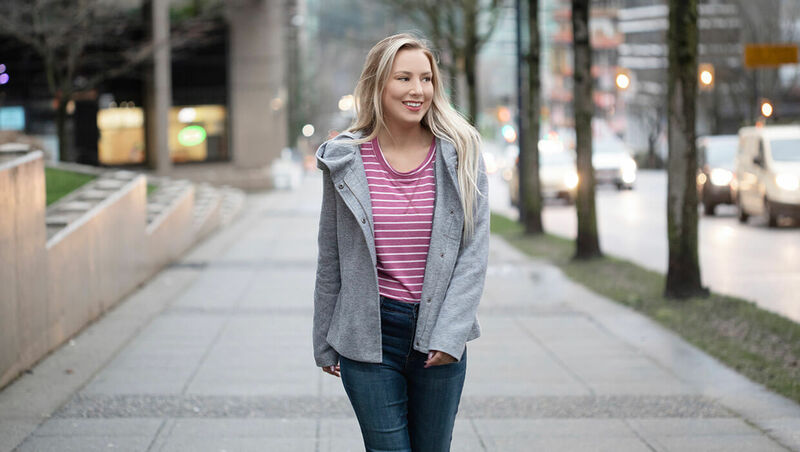 Get the Look: Lauren is wearing the Christie 3.0 Striped Long Sleeve (Pink & White Stripes, XS/S), Brighter Days Ahead Jacket (S), Day by Day Denim, Fortunate Soles (Black). For a classic look that is always in style, add a gorgeous striped shirt to your wardrobe. We’ve styled our striped shirt looks with the Christie 3.0 Striped Long Sleeve Top.